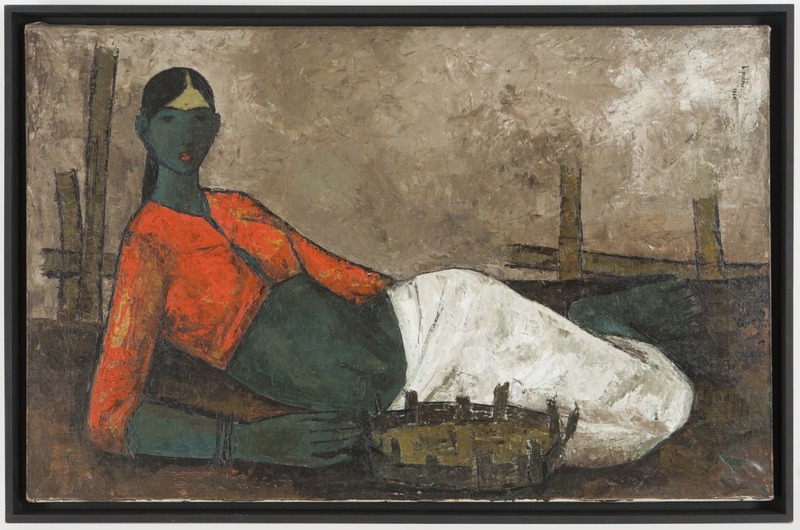 Fisherwoman, by B Prabha, 1960 (via Blake Gopnik’s Daily Pic in the Daily Beast). Two prestigious publications — the New York Times newspaper and Nature, the world’s leading scientific journal — this week published opinion pieces calling for the empowerment of women so that they can better tend their farms, families and/or high-level science careers. Staff of the International Livestock Research Institute (ILRI) and its many partner organizations are ambitious to support all of the above. Not to support women’s empowerment in these ways, the NYT and Nature argue, is a waste of half the human talent on earth. The New York Times op-ed, ‘The feminization of farming’, written by Olivier de Schutter, United Nations special rapporteur on the right to food, describes the feminization of global farming, as more and more men leave the countryside to pursue jobs in the cities. ‘. . . A 2000 study of developing countries by the International Food Policy Research Institute found that as much as 55 percent of the reduction in hunger from 1970 to 1995 could be attributed to improvements in women’s status in society. Progress in women’s education alone (which explained 43 percent of gains in food security) was nearly as significant as increased food availability (26 percent) and health advances (19 percent) put together. Many governments have recognized the causes of the poverty trap but have not done enough to remove the obstacles facing women. ‘In a report to the United Nations Human Rights Council that is being released today’, de Schutter continues, ‘I urge a comprehensive, rights-based approach focused on removing legal discrimination and on improving public services — child care, water supplies, sanitation and energy sources — to reduce the burden on women who farm. But such an approach must also systematically challenge the traditional gender roles that burden women with household chores in the first place. The Nature article, ‘Science for all’, argues that sexism is alive and well in science. And that it must go. Overt or unconscious gender bias. Read the whole Nature editorial, Science for all, 6 Mar 2013, and the whole New York Times op-ed, The feminization of farming, 3 Mar 2013. View an article posted today on ILRI’s News Blog to celebrate the world’s women farmers: WILD: Take a look at famous artworks depicting ‘Women in Livestock Development’, 8 Mar 2013. With thanks to ILRI’s Shirley Tarawali for forwarding these news clips. Tags: 2013 International Women's Day, Nature (journal), New York Times. Bookmark the permalink.